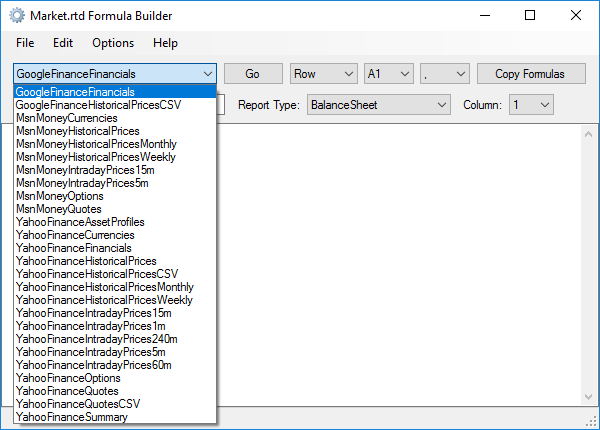 Here you will find a set of products that allow getting data into Microsoft Excel, CSV, and databases from financial websites and trading platforms. These financial websites publish a lot of data: stock quotes, option and future chains, financial reports, etc. Getting data in Excel using MARKET.RTD is easy. You may customize a lot of examples. Another way is to use Formula Builder. Just select a data provider, formula style, separators. Then click Go, Copy Formulas, and paste the formulas into your spreadsheets. 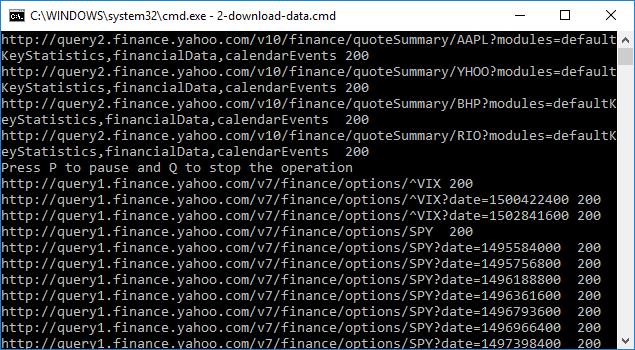 MARKET.CSV is command line utility for loading market data for stocks, ETFs, indexes, and options to CSV and databases on a daily basis. 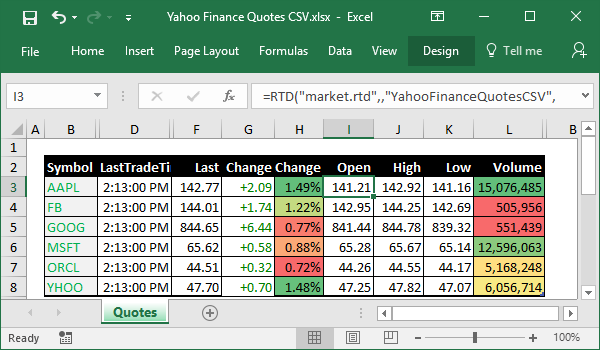 MARKET.CSV is a specialized parser that downloads data from Yahoo Finance, Google Finance, or MSN Money and creates CSV files for further import into databases. The product includes a configured SQL Server database. So, you may get the data in a database in an easy way. 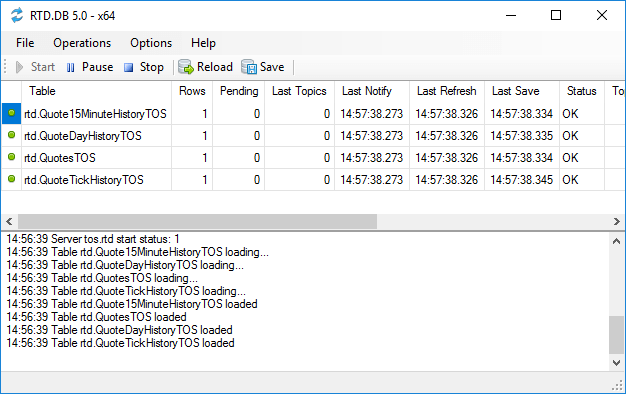 RTD.DB allows loading real-time data from trading platforms like Thinkorswim into databases. It works with DDE and RTD servers like Microsoft Excel, however, saves data to a database. You may create stock and option histories in required time frames. You must have SQL skills to use this product. Also, you must have a platform that supports DDE or RTD.